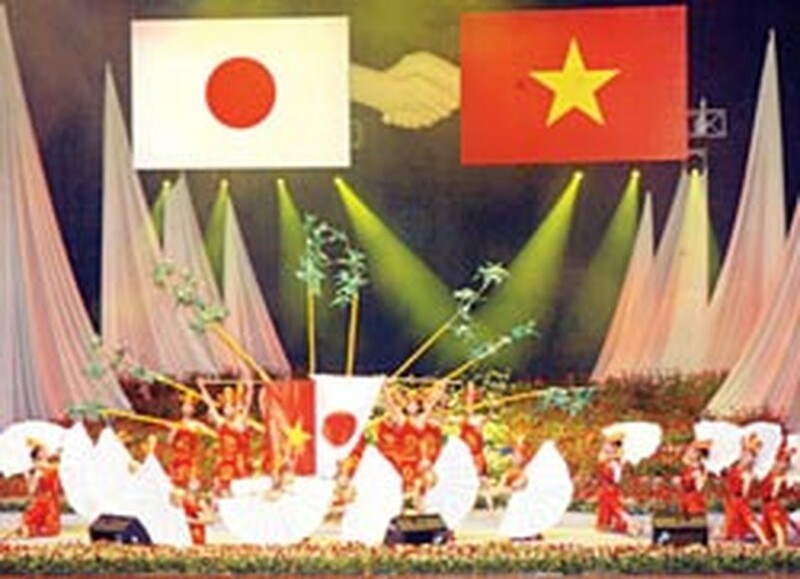 A special gala night themed “Dream of Peace” will be taken place in HCMC Opera Theater at 8pm on May 26 marking 35 years of diplomatic relations between Viet Nam and Japan. On May 24, the program took place in Ha Noi and was telecasted live on VTV1 channel of Viet Nam and NHK channel of Japan. Japan Embassy in Viet Nam, Viet Nam Foreign Affairs in association with Viet Nam Ministry of Culture, Sport &Tourism organize this important event. In Ha Noi, the program gathered many renowned signers of two countries including Akiakawa Masafumi, Rimi Nastukawa, Shimatani Hitomi, Winds, Thanh Lam, My Linh, My Tam, Trong Tan and Tan Minh. Specially, Mr Sugi Ryotaro, known as Japan –Viet Nam Goodwill Ambassador performed as honorary singer at the gala. This year’s gala night is much bigger and longer than past years. Japan and Viet Nam singers sang together song named “To Be Found Angle”.